Your Gathering Grounds: One of the biggest benefits of holding your conference at DuBose is the close proximity of meeting spaces to lodging and dining facilities. One of the biggest benefits of holding your conference at DuBose is the close proximity of meeting spaces to lodging and dining facilities. Everything is within walking distance, and it's easy to establish a community feel, even with larger groups. Our campus houses many indoor meeting rooms and worship spaces... but when the weather is nice you may find your group drawn outside to the balcony porches, outdoor worship areas, or flower garden instead. DuBose Guest Services looks forward to working with you to figure out what spaces are best for your group and your planned event activities. A/V equipment and furniture setup is available with advance request at no additional charge. This large, modern chapel can seat 150 people comfortably (200 standing). It is frequently used as a multi-purpose room or primary meeting space for large conferences. Sound amplification is available. As a worship space, the Large Chapel offers a permanent altar table, modern organ, and soaring ceilings with tall windows. The baby grand piano is complemented by the excellent acoustics in the room. The Pell Library Room is a perfect size for mid-sized group meetings and receptions. This space features beautiful drop lights and crown molding, and provides an elegant, intimate backdrop. 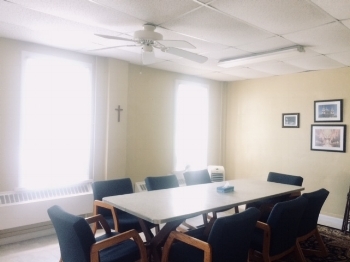 Boards, vestries, and leadership groups are especially fond of this room. This inviting space can hold as many as 125 people and has a small stage area. 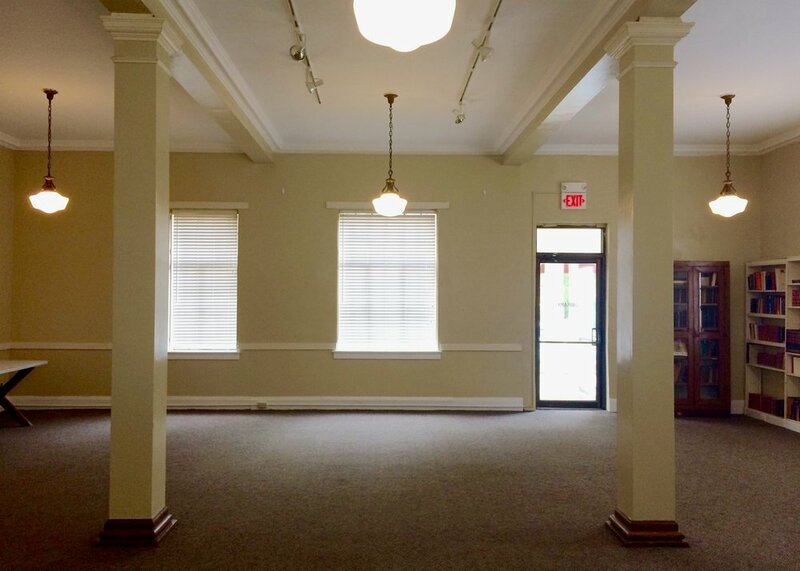 With plenty of large windows and a spacious, airy feel (not to mention a great view), this room has been used for everything from presentations, to parties, to early morning yoga routines. This cozy spot in Claiborne Hall is like our family room. Comfortable chairs and a big sofa, a working fireplace and adjustable lighting make this a great setting for conversation. Workshops and after-dinner gatherings are popular here, as is making this a “home base” for leadership committees during large conferences. Perfect for small groups of 18 or fewer, break-out rooms are great for when you need to divide and conquer. Claiborne Hall has four first-floor classrooms available, equipped with chairs, tables and dry-erase boards. The Library Building has two second-floor classrooms for small group discussions. This intimate, historic chapel has been lovingly restored and is an ideal setting for quiet devotionals, Morning Prayer, Compline, Evening Prayer or meditation. Seats 36 individuals. Groups may borrow items from our Sacristy to use in services. Please note that wine is not provided. Our large pavilion can accommodate 250 seats and is a perfect space for outdoor music events, dances, performances, or a large worship area. Green space adjacent to the pavilion allows for families to spread out on picnic blankets for additional seating during large gatherings. There are plenty of outdoor gathering spaces at DuBose, whether that's an outdoor porch for a small group session, painting in the art barn, a campfire gathering, star gazing or soccer in the athletic fields, or worship at our outdoor chapel. See the Amenities page for more information.